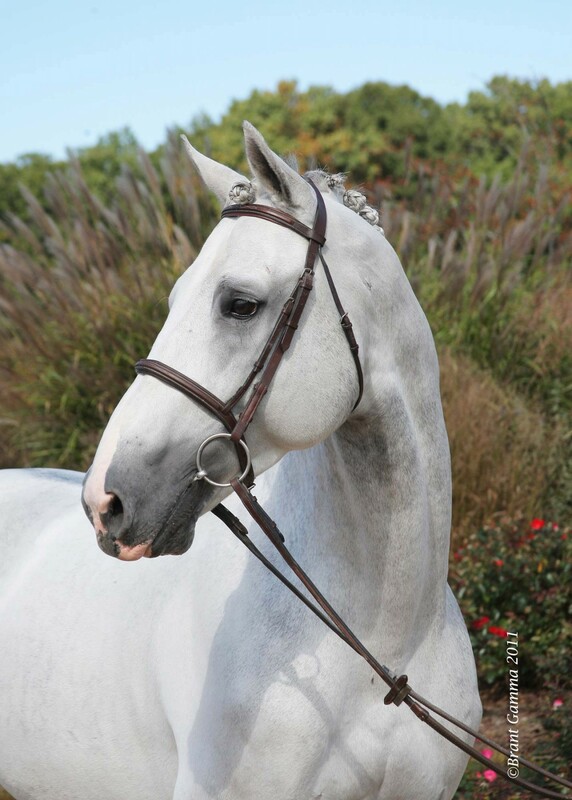 Zilverstar’s sire Cardento is winner of 3 team silver medals which include the European Championships, World Equestrian Games and the Olympic Games. 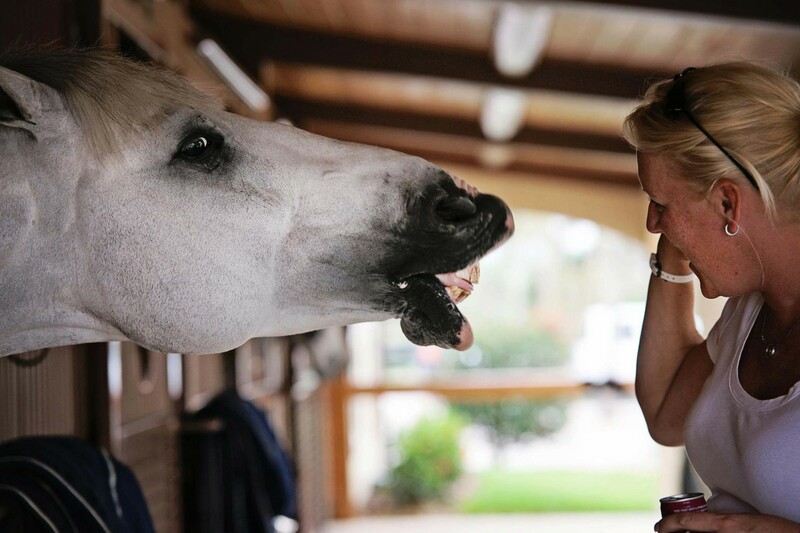 He has produced many horses that have performed successfully in the Swedish Championships for young horses. Cardento is an ‘Elite’ stallion who has received the Breeders trophy in Sweden five times because of the results of his offspring. 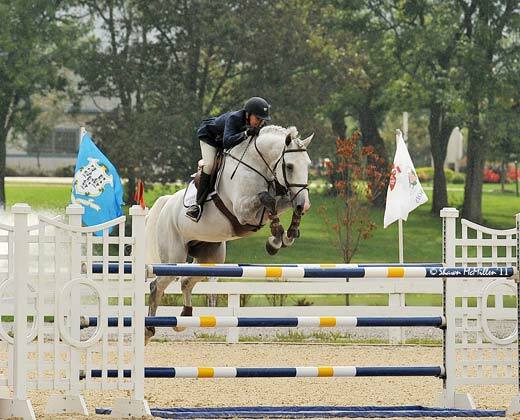 Zilverstar’s dam’s sire Libero H was also a great powerhouse in the sport by winning a World Cup Final, and spending many years at the top levels of the jumping sport. 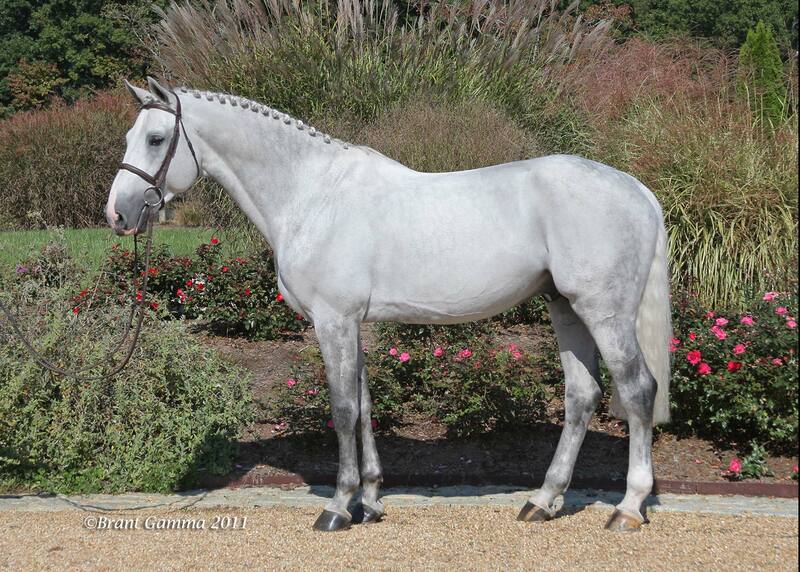 He has sired two Olympic show jumping horses, Castle Forbes Maike and No Mercy along with the 2004 KWPN Stallion Champion, Ustinov. Then there is the great foundation stallion Nimmerdor on his dam’s side, who became known as the ‘KWPN stallion of the century 2000’. 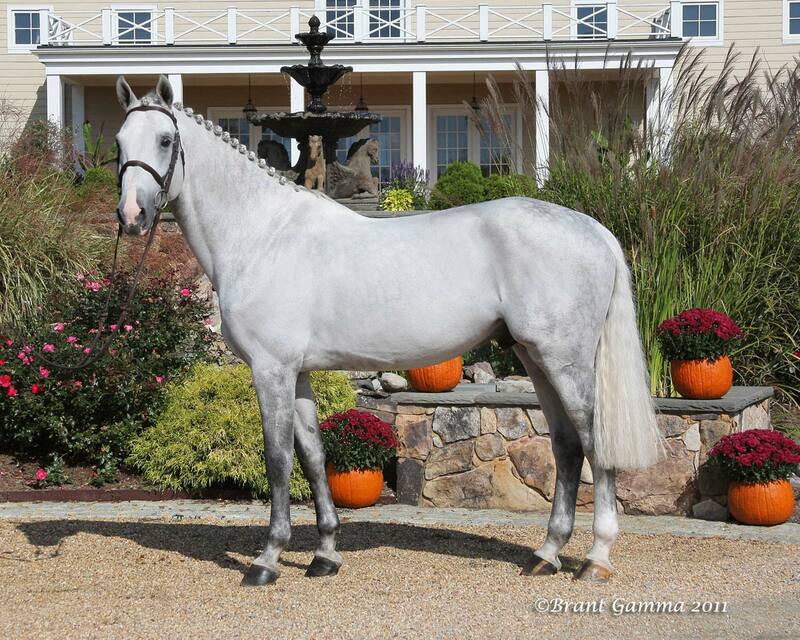 This ‘Preferent ‘ stallion has produced over 50 approved sons and more than 60 International jumping horses as well as many successful dressage horses. Zilverstar VDL is an unbelievable representation of the great stallions and mares of his pedigree. He is powerful, scopey, balanced, well mannered and incredibly beautiful! The combination of superb athleticism, conformation and bloodlines makes Zilverstar VDL the perfect choice for the modern sport horse breeder.